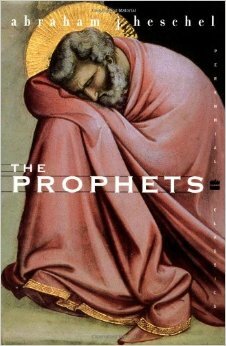 The Prophets (2) What Manner Of Man Is The Prophet? *Note – Only two weeks left to leave your comments and be entered to win a free Abraham Joshua Heschel book of your choice.You are awarded one entry for each comment made on the Heschel posts here and also at the HIS-ISRAEL Facebook Page. Over the life of a prophet, words are invisibly inscribed: “All flattery abandon, ye who enter here.” To be a prophet is both a distinction and an affliction. The prophet’s duty is to speak to the people, “whether they hear or refuse to hear.” A grave responsibility rests upon the prophet. …Yet, being a prophet is also joy, elation, delight! The pages of prophetic writings are filled with echoes of Divine love and disappointment, mercy and indignation. The God of Israel is never impersonal. This Divine pathos is the key to inspired prophecy. Excellent! I really enjoyed listening and LEARNING about the true prophets of G-d. I look forward to reading this book someday…hopefully by winning it! I am still reading all the other books that I have ordered and digesting each one!